Some extra safety without all the extra weight - the Grivel Tau Wire Lock! 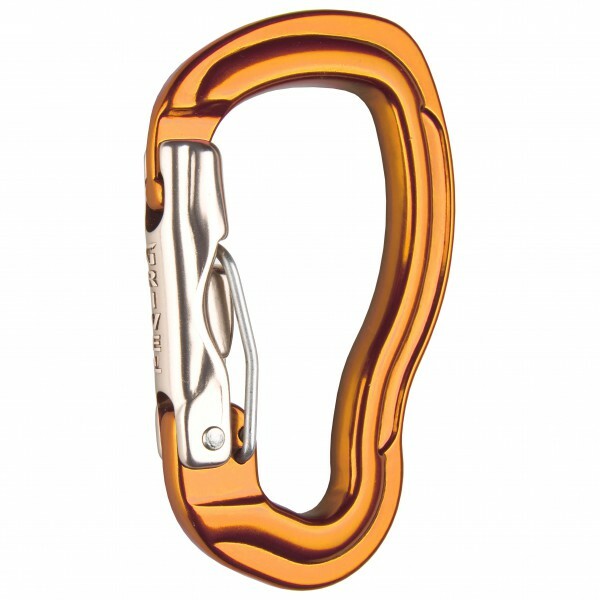 This aluminium carabiner comes with an aluminium gate equipped with the patented wire-lock system. The wire prevents the gate from opening on its own, regardless of which side is strained. Since the wire is locked in behind the gate, there is no way for it to open other than you pulling the wire to unlock the solid gate. What's more, the carabiner is extremely lightweight, robust and offers excellent handling. The keylock nose serves to prevent snagging. The Grivel Tau Wire Lock is an excellent all-round carabiner for sport climbing, alpine climbing and much more! I like it because in several climbing activities is not necesary to use a screwgate carabiner but it is very committed to use a snapgate carabiner.